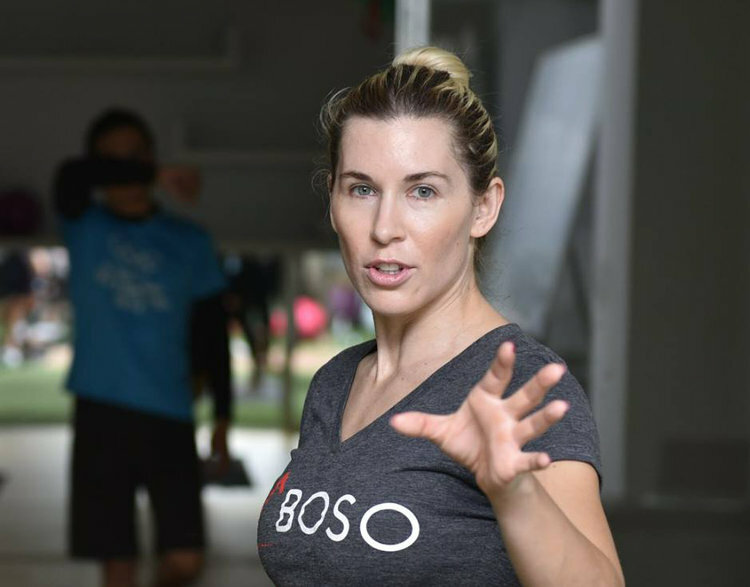 Dr Emily Splichal, Podiatrist and Human Movement Specialist,is the mind behind Naboso Technology™. With a spirit to challenge conformity Dr Splichal has taken her conventional Podiatric Medical degree and combined it with years of experience and expertise in human movement and sensory science. Dr Splichal believes that our experience in this world is built around sensory stimulation and our ability to process, perceive and integrate this information effectively. Since 2012 Dr Splichal has been traveling the world to share her unique approach to human movement, foot function and barefoot science. Having taught in 35 countries and to 20,000 professionals,Dr Splichal has quickly become a global leader in barefoot training and rehabilitation. The concept behind Naboso Technology™ and it's proprioceptive products came from Dr Splichal's global travels and the realization that little has changed as far as surface science and insole design. To date most of the focus has been on minimal footwear and barefoot training however what our foot is touching - is just as important as switching our shoes or going minimal. Thus led to the evolution of a material that could stimulate the nerves in our feet, allowing us to get even more out of human function and performance. The potential applications of enhanced foot sensory stimulation are limitless. From optimizing a child's sensory stimulation during their peak window of neuroplasticity to rehabbing an athlete who just suffered a concussion, Dr Splichal is ready to impact the world and share her passion for the belief that #lifeissensory.